← New Citizen Watches – Now Online! Further Reductions during our Retirement Sale! 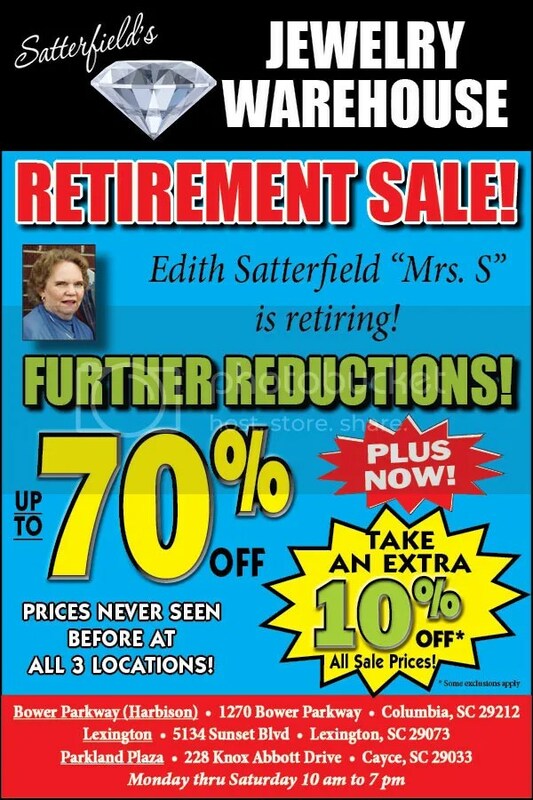 FURTHER REDUCTIONS during our Retirement Celebration Sale! In addition to items up to 70% off, NOW take an additional 10% off Sale Prices when you shop with us in-stores. For our far away friends, you can still receive 20% OFF* your entire online order, with FREE shipping! *Some exclusions apply. See our website for details. This entry was posted in Jewelry, Jewelry News, Sales and tagged clearance, columbia sc, Jewelry, jewelry in columbia sc, jewelry sale, sale, sales. Bookmark the permalink.